Help to build the strength of your company by improving your own strengths. 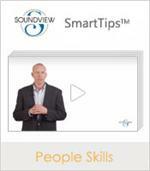 This SmartTips video provides six steps to help you identify and utilize your strengths, leading you to become a stronger person. 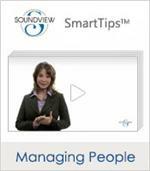 Inspired by the seven habits made famous by author Stephen R. Covey in The 7 Habits of Highly Effective People, this SmartTips video offers a similar list of habits to help you live life to the fullest. All it takes to live these habits is dedication and practice. 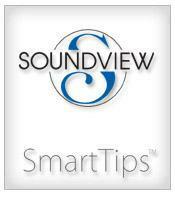 According to some business writers, business flow is just as common as athletic or musical flow. It comes about when certain criteria are met. When you're in the flow, you're calm, capable, and focused. Your thinking is clear, your outputs are on the money, and you're feeling serene. 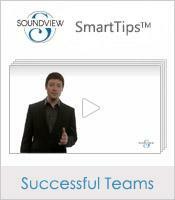 In this SmartTips video, learn 6 tips for getting in the flow of business. The more you work on your self-confidence, the better you will feel about yourself and the world around you. 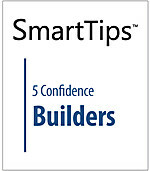 This five-step SmartTips video can help you build the confidence you need to steadily advance in your career.